Anyone who has visited the Crittenden Estate Wine Centre knows the name represents wine-making pioneers with a reputation for remarkable wines. This family-owned and operated winery has been part of the Winter Wine Weekend from the beginning and is proud to continue the tradition heading into the Mornington Peninsula’s winemaking future. Sorrento Trattoria is the perfect blend of traditional and contemporary Italian ambience and fresh Italian flavours. This is a place where family and friends come to express and taste, laugh and enjoy the essence of what it means to be alive and indulge in the good life. Recently receiving the Ospitalità Italiana, an international award given from the Italian Republic through the Italian Chamber of Commerce in Melbourne and the Italian Consulate in Australia, this little slice of Italy brings the best from both countries to create a unique coastal grazing table. Carmela and her family are looking forward to hosting their Sicilian Long Table event this winter, and Carmela’s second book The Heart of the Table is set to be released in June. 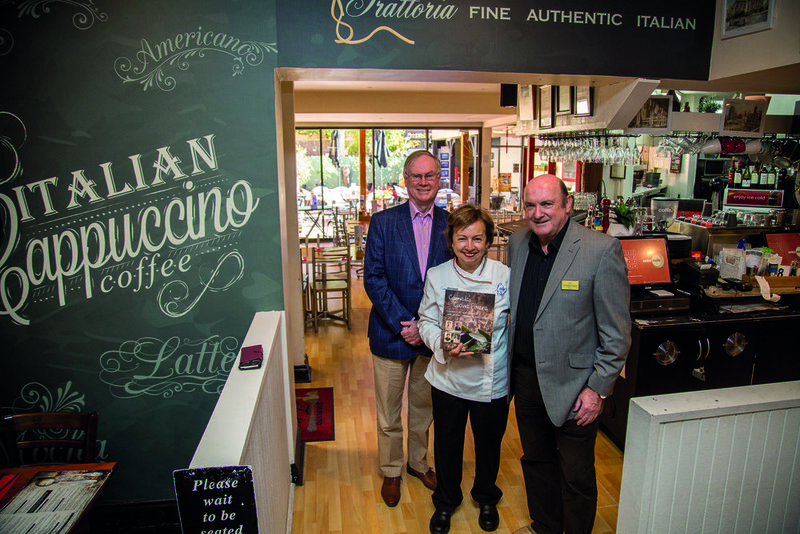 “Magic truly begins at ‘la tavola’ (the table),” says Carmela. To sample delicious dishes like pasta alla norma, a 19th century dish from Sicily, make a booking today. The Mornington Peninsula has a new dinner venue and it’s a familiar setting with a stunning new look. Welcome to Barmah Park Restaurant & Cellar Door in Moorooduc. This long-established venue with sweeping 180-degree vineyard views is under new management and it is now open for dinner Friday and Saturday nights and for breakfast and lunch every day year-round. This is family-friendly vine-side dining a-la Mornington Peninsula style. Turn off the Moorooduc Highway, park with ease and enjoy a fully renovated, free-flowing dining space seemingly in another world. The new-look interior features floor-to-ceiling windows, leather couches by a warming wood heater, indoor and outdoor seating, a separate cellar door and an enclosed space for children to play - complete with a sandpit - while parents wine and dine the day (and evenings) away! Husband and wife restaurant managers David and Mary, along with French-trained Japanese chef Yoshitaka Kojima, have created a relaxed dining experience with high-quality seasonal menus. “It’s exceptional quality, with interesting flavours,” Mary explains. The autumn menu is out now. Barmah Park Restaurant & Cellar Door is a beautiful gathering place away from the hustle and bustle of life. Sip estate wine and gaze at the vineyard while enjoying a delicious meal. Drop in for coffee or a shared platter with a glass of wine. Connect your style. Using grapes grown in the main vineyards on the Mornington Peninsula, Dromana Estate produces premium wines including pinot noir, shiraz, chardonnay, pinot gris, sauvignon blanc, rosé, and blanc de blanc under the brand labels Dromana Estate, Mornington Estate, Tuerong Park and David Traeger. Since 2013 Dromana Estate has been managed by Weeping Elm Wines Pty Ltd and chief winemaker Peter Bauer, who has more than 30 years of vineyard management and winemaking experience. Having been with Dromana Estate for more than 10 years, Peter has contributed in lifting the quality of wines produced by Dromana Estate to a higher level. Dromana Estate’s café and cellar door are open for social gatherings from Wednesday to Sunday, 11am-5pm. Dromana Estate’s staff are experts at catering for large groups seeking a leisurely grazing lunch or an intimate wine-tasting experience for two to 50 swillers. On Saturday, March 3, the estate is hosting its second Creators Market. Bringing together 100 of the region’s and Victoria’s most talented artists, designers, crafters and culinary creators from 10am until 3pm, it is sure to be great day. Stalls are open from 10am and free parking is available. 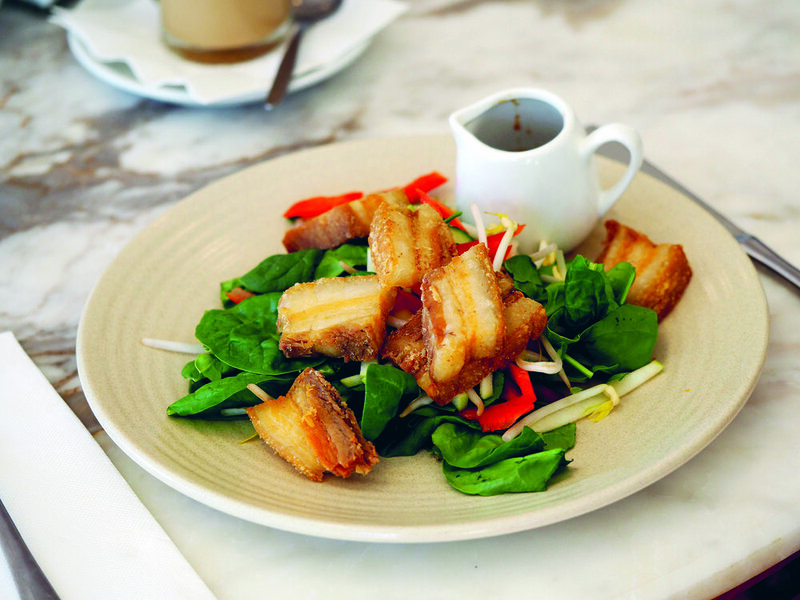 If you haven’t tried The Hart of Tyabb’s popular pork belly sandwich or the cauliflower burger, here’s a tip – get in while the summer menu is still on! The Hart of Tyabb Café, located inside the historic Tyabb Packing House Antiques complex, is the place to relax over delicious house-made food and barista-made coffee after wandering through the extensive antiques showroom. Owner Tony, chef Dean Caldwell and the team are serving delicious dips, hearty burgers and a pork belly sandwich on Turkish bread that is the talk of the town. Tony makes the divine bread himself. Pair a house-made dessert with your coffee. There are several gluten-free dessert options available and the cakes are now being baked individually, making them a great treat to share with a friend. Or order a half serve for one. The Hart of Tyabb Café also offers friendly table service and “the very best in coffee”. Word is out. The hottest burgers, bagels and coffee in town are now in Hastings. Owner and chef Lochie Greig-Moore is shaking up the Peninsula’s food scene with his ethical eatery Homestock. This is a must for lovers of really good food, done simply. Homestock’s quest is to provide a great tasting, ethically-sourced menu that educates and influences customers to appreciate the quality of ethically-farmed food. Since its opening in July when Lochie and his partner moved to Hastings, this family-run venture already has customers driving more than an hour for his burgers. You’ll find a menu infused with free-range, organic and artisan produce, from Nirvana free-range eggs and Hagen’s Organics free-range chicken to freshly ground Latrobe River angus beef, organic French-style l’artisan cheese and more. Homestock Hastings is committed to serving on-trend, sustainably-sourced food at economical prices. There are hearty beef burgers, vegetarian burgers, fish burgers, ripper breakfasts and even the Westernport Classic, designed for pineapple and beetroot-lovers. The venue is also licensed and has a great range of local, boutique and gluten-free beers and ciders as well as a good selection of wine from the region. There’s a cool Melbourne laneway vibe and a welcoming atmosphere. Pull up a chair at the communal table and stay a while. It’s open every day from 8am-8pm (8.30pm close Friday and Saturday). The Corner Café in Rosebud is well known for making some of the region’s best fresh food from scratch. It’s also a top spot in which to sit back and enjoy a bevvy on a hot summer afternoon. Open seven days a week and fully licensed, The Corner Café is casual beach-side dining and drinking at its best. Sip on a Cheeky Rascal cider while chowing down on some salt and pepper calamari, enjoy a side of sweet potato chips after a hard day’s ‘work’ at the beach, or welcome the day with a delicious breakfast. Blueberry, banana and ricotta french toast gets the tastebuds tingling, while the bruschetta overflowing with field mushrooms makes a statement. Now’s the time to head down south to The Corner Café while the sun is still shining. Pull up a chair with friends and raise your glasses to a perfect Peninsula experience – together. The Mornington Peninsula's addition to the Melbourne Food & Wine Festival's Regional World's Longest Lunch is being held at Tanglewood Estate in beautiful Merricks North. Usually reserved for private events, the property will be opening as part of the 2018 MFWF for you to enjoy an epic longest lunch inspired by all things Peninsula. Good Neighbours, a collaborative concept from the team behind Mr Hall Catering Co aligned with local producers and makers, will create a shared dining experience on the estate grounds of Tanglewood, surrounded by native bush, ocean views and a working vineyard. Enjoy four feasting-style courses with hand-selected produce celebrating the Mornington Peninsula’s finest community of makers and growers while sipping locally made wines and drinking in the spectacular view. Courses will be matched with wine grown in the 2.4ha of vines on the property from Tanglewood's newest vintage Ups n Downs, made by local winemaker Michael Kyberd (Red Hill Estate, Tucks Ridge). The afternoon promises to be a fun, relaxed event on the grounds of one of the Mornington Peninsula’s most beautiful properties. It's all happening Friday, March 16, 12 - 4pm. Aldo and Lea da Silva Gomes have spent the past two years trying to find a place on the Peninsula to trade from their food truck Brazilian Bites. They have had no luck - until now. After a lot of hard work and persistence, they created their own permanent food truck location, Beach Bites Lane, the only one of its kind on the Peninsula. Going back and forth to Melbourne all the time in their food truck was taking its toll financially, physically and on their young family. “What people don’t realise is that it’s incredibly expensive to run a food truck and we were spending $100 a day just getting to and from the city, even without all the other costs involved,” owner-operator Aldo says. The Dromana couple decided enough was enough and it was time to start working closer to home. A venue they had had their eye on for some time finally became available for lease and they jumped at the opportunity; 813-817 Point Nepean Rd, Rosebud, is now their permanent home and they couldn’t be more proud of their achievement. Opposite the beach and the Rosebud foreshore camp ground, Beach Bites Lane has a gelato shop on site and a rotation of some of the best food trucks Victoria has to offer - and coffee is available now too. Keep an eye on social media to find out who’s trading and when. The Corner Café in Rosebud is well known for making some of the region’s best fresh food from scratch. Summer sees this clever little café creating a new menu for Rosebud residents and their guests who want to relax alfresco after an early morning swim with a blueberry, banana and ricotta french toast or a field of mushroom bruschetta. Yum! And for those who want to enjoy the summer evening breeze, linger over some salt and pepper calamari, a beef burger, pulled pork tacos or sweet potato chips while sipping on a Peninsula cider (think Cheeky Rascal) and taking the weight off your feet. The Corner Café just loves being the go-to place where fresh food and good times take pride of place. Open seven days a week, it’s fully licensed too, so casual pre-Christmas drinks and nibbles with friends are all sorted. Veraison Wine Bar and Fine Dining is a fusion of laneway-style Melbourne wine bar meets coastal Mornington Peninsula. It’s cutting-edge, it’s right here on our doorstep and its signature cocktail is the Pink Persian Rose. A mixture of raspberry vodka, cranberry and Rose Persian Fairy Floss, this is a cocktail that really delivers on the ‘wow’ factor – and how! Simply pour the alcohol into the glass and watch the cocktail come alive. This summer at Veraison, fall in love with the funky lighting, the local art, the cosy atmosphere and the attention to detail as you linger over a Pink Persian Rose or two – it will definitely have you feeling in the pink. Veraison Wine Bar and Fine Dining is open seven days for breakfast and lunch and Thursdays-Sundays for dinner. When it comes to a great summer cocktail, you want fresh ingredients and you don’t want to wait, right? Well, The Milbri agrees. The Milbri has unveiled an exciting new cocktail menu for summer and has gone for simplicity and freshness. This means no one has to wait too long - because we all know how annoying that can be ­– and the cocktails are moreish to the max! Over the silly season The Milbri will be using as many fresh ingredients as possible to achieve maximum flavour while the gorgeous fresh fruits are in season. Three of the lip-smacking new cocktails are the Frozé (raspberry syrup, strawberry puree, gin, cranberry juice and rosé), Professor’s Espresso (bourbon, instant coffee, maple syrup and a biscuit), and Mac's Mojo (white rum, passionfruit, mango puree, lime juice and egg white; pictured). We’re impressed! Meet the Mexican Summer – so refreshing you’ll think you can feel the sand between your toes and hear the ocean by your side! The love child of a classic margarita and sangria, this unusual but delicious combination is reinforced with the addition of cherry, which binds the two classics in loving matrimony. Built in an intriguing two-part glass and garnished with a beautiful assortment of mint, lime and a single orchid, it’s almost one of those “it’s too pretty to drink” cocktails - but it tastes so good that those initial feelings will fly out the window! The perfect tequila drink for the summer. When you’re exploring the rock pools of the Mornington Peninsula, one thing you would not want to stumble across is a blue ring. That is unless, of course, you are talking about the Blue Ring Cocktail at the Portsea Hotel. This delicious combination of vodka, strawberry, citrus and cranberry is the perfect drink to enjoy while looking over the amazing views the Portsea beer garden has to offer. 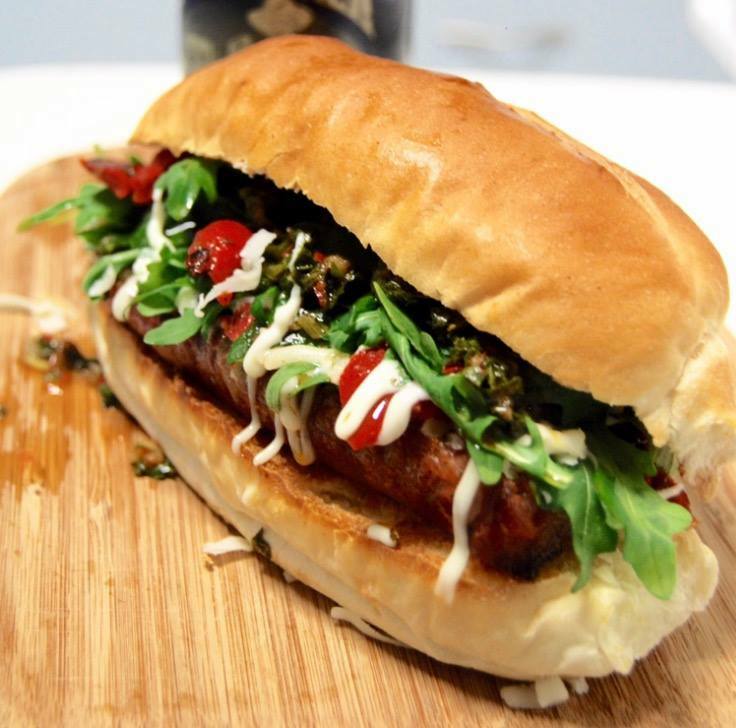 Head down and grab one from the friendly staff at the Portsea Hotel today. Mi Mexiko serves authentic Mexican street food and has an extensive cocktail and tequila menu to match. 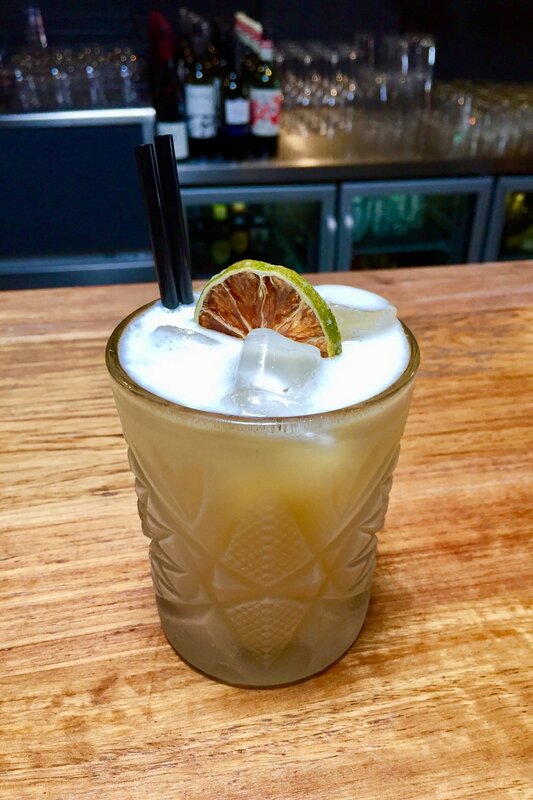 Mi Mexiko is the only venue in Mornington whose house-made margarita is served on tap. The venue offers more than 12 different margarita flavours as well as more than 13 other cocktails. 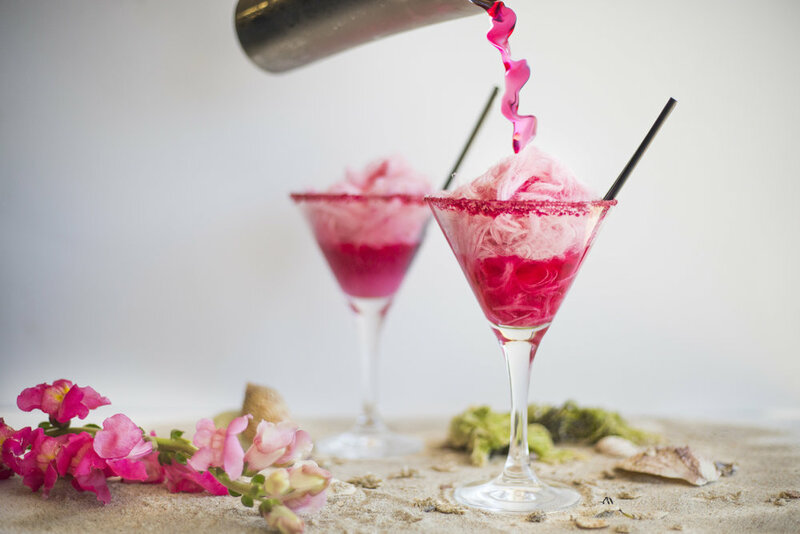 A crowd favourite is the Senorita (pictured), made of vodka, pomegranate, cranberry, lime, pink grapefruit, egg white and Persian Fairy Floss. Jugs of white and red Sangria are also available and Mi Mexiko features a Barman’s Special every month. The extensive tequila and mezcal menu will provide you with that true Mexican experience, and you’ll find a variety of local and Mexican beers, wines and mocktails – so there really is something for everyone. Mi Mexiko is located at 25 Main St, Mornington, and bookings can be made online at mimexiko.com.au. Takeaway food is also available and can be ordered online or by calling 5976 0024. Molly, the main bartender at Dr Fox, has smashed it out of the park with this summer treat. The Hare Affair will entice you to cheat on your usual go-to drink and have an affair with its minty-fresh sister. 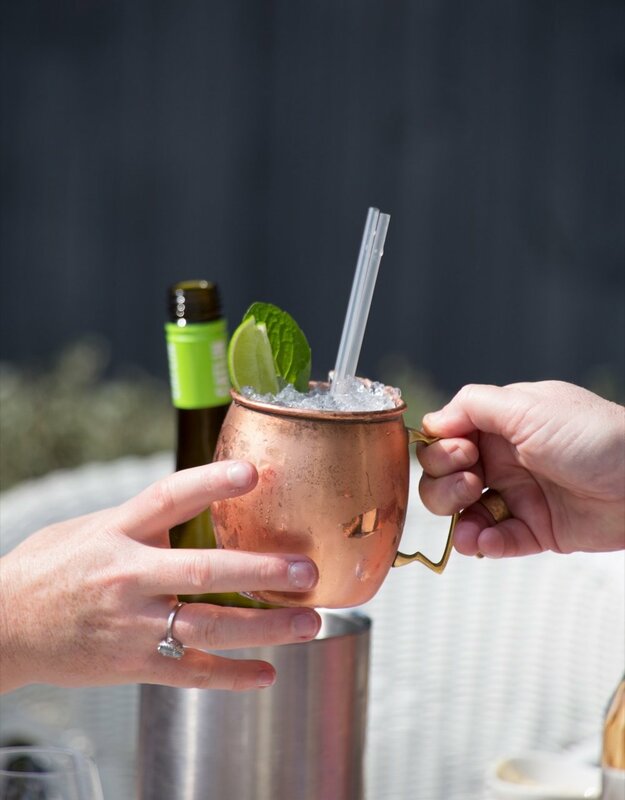 Molly has captured the taste of summer with her blend of Tanqueray Gin, Saint Germain Elderflower Liqueur, dry ginger ale, and sparkling pink moscato from Montalto Estate, mixed with summer berries and topped with mint. City-style cocktails are the focus for Dr Fox. They aren’t super sweet because they’re more about the alcohol perfectly complimenting each other than the power of the mixers. Focusing on cocktails for the evening trade is Dr Fox’s speciality, and you’ll be pleasantly surprised as each sip provides a different level of flavour. It’s just what the doctor ordered. The gin fizz is the best-known cocktail in the ‘fizz family’. Fizzes became widely popular in US between 1900 and the 1940s. Known as a hometown specialty of New Orleans, the gin fizz was so popular that bars would employ teams of bartenders who would take turns shaking the drinks. Brass Razu’s gin fizz is a little different - it’s fruitier and razooier. Into a shaker, pour 30ml Chambord, 30ml Bombay Gin, 45ml fresh lemon juice, 30ml simple syrup* and one egg white. In your chosen glass, place seven to nine blueberries and two finger-widths of soda water. Shake the ingredients without ice to create a smooth, creamy texture. Then shake WITH ice and strain the mixture into your chosen glass, add ice and garnish with mint and basil. *To create this at home, mix 1:1 boiling water and caster sugar, stir until all sugar is dissolved and let the mixture cool down before use. Store excess in fridge. Alatonero’s Santorini Donkey will have you dreaming of sunsets in Santorini in no time! It’s a tasty cocktail of muddled lime, mint and ginger, limoncello, vodka and fig syrup, showered over crushed ice and served in a lovely copper mug. It’s perfect for lazy summer sipping while you’re kicking back with family and friends at this exquisite Greek restaurant opposite the beautiful McCrae foreshore. The Santorini Donkey is one of 12 signature cocktails exclusive to Alatonero and inspired by the sun-drenched Greek island of Santorini - check them out on your next visit! The sun’s out, the weather’s warming up and we’re getting ready for blue skies, beaches and barbecues, so here are some tips to help you to Be Fit and healthy this summer! Did you know that our bodies have 10 times more bacterial cells than human cells and they solely survive on the food we consume. Therefore, without adequate amounts of pre-biotic foods such as those found in vegetables, salads, wholegrains and even some varieties of honey, these bacteria that ultimately dictate our overall health cannot thrive. You can also add some probiotics such as those found in yoghurts, kefir and fermented kimchi. Yes, it is true - there are actually foods that increase metabolism such as hot chillies and spicy food as well as foods that are really rich in fibre and low in calories, such as celery. Even caffeine has a positive effect on metabolism by helping us accomplish more physically while feeling like we’re making less of an effort. Keeping hydrated is not only vital for health, it’s essential for a good metabolism. Consuming chilled water can make your body work harder to warm the water up to body temperature, so you expend more calories. Did you know that walking or running outdoors generally burns more calories than slogging it out on the treadmill given the natural slopes and inclines will force you to recruit more muscle groups. If you don’t fancy walking or running, just make the most of the sunshine and get some vitamin D while doing a few short five to 10-minute bouts of high-intensity interval training. Summer is the time for ditching those comfort foods and increasing your fresh fruit, veg and salads. Make the most of what’s in season - it’s not only at its optimum nutrition level, it’s also most affordable! For meals, use loads of crunchy green salads, asparagus, avocado, cucumber, tomato and zucchini; for snacks, try some fresh berries, mango, stone fruits, pineapple and passionfruit in Greek yoghurt.